Indian Weddings are full of rituals and celebrations. The families are so closely knit together and everyone actively takes part in the wedding celebrations. The most attractive thing about wedding ceremonies in India is the vibrancy and the colorful atmosphere that they put together. Planning a wedding ceremony soon? Well, there is so much to plan and it is best to take a look at tips available online. This article offers you some help to plan weddings in India. Decide the Date and the Venue. Indians believe in choosing auspicious dates for special ceremonies. The date for an Indian wedding is usually decided by reputed astrologers, who check the astrological charts and decide the most auspicious date for the wedding. In case, you do not believe in such rituals, you must go ahead and decide a date that would be convenient for most of your guests. Make a list of your guests. 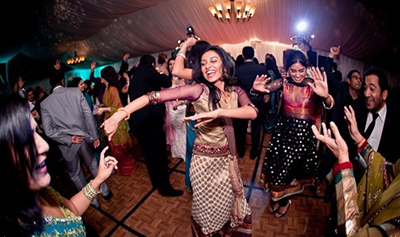 You definitely don't want to miss out inviting anyone for the wedding party in India. You must make a list of all your relatives and friends, as this will allow you to make sure that you don't miss out anyone. The next step would be inviting everyone to the party. The invitations for Indian wedding are usually send across by mail. However, this trend is fast changing, mainly because there are so many online invitation sites today. These are very effective and convenient. Online invitation sites like Yoovite.Com are so easy to use as well. You can choose from a huge collection of templates and also personalize it for every invitee. Yoovite is your best choice for wedding party invitations in India. After the date has been finalized, you must check for the availability of wedding halls in your locality. You have to select a hall that would accommodate all your guests comfortably. There are also several hotels that offer wedding halls on rent nowadays. Choose a good wedding cuisine. Until a few years ago, Indian weddings mostly consisted of purely Indian cuisine and the guests enjoyed this. However, this trend is changing now and Indian weddings are now also offering several kinds of continental cuisine for their guests. Though ice cream would be the best choice for dessert, there are other options of Indian sweets like gulab jamun and jelabies too. Decorate the Venue well. Indian wedding venues always look very colorful and vibrant. The best option would be to use regional flowers for the decoration. The decorations are usually handled by the caterers. If you are planning the wedding reception in a hotel hall, then you could arrange hotel staff for the decorations. The decoration of the hall will most probably be included in your wedding hall package by the hotel. In India, the vehicles in which the bride and the bridegroom arrive to the venue are also adorned with flowers. Some sort of Entertainment would be nice. 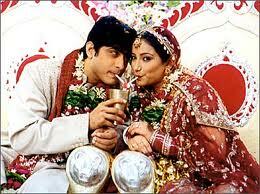 Several wedding ceremonies in India also include entertainment programs these days. The function also includes a cake cutting ceremony and lighting the lamp by the couple. You could also organize some musical programs for your guests. The rituals are different in every religion and vary across states as well. This diversity in culture is indeed what makes India so special.